Supernatural horror set in a small backwoods community. 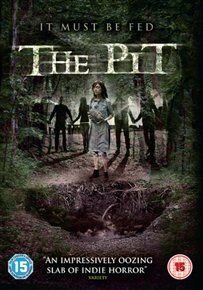 A spirit resides in a nearby pit and keeps the locals safe providing they keep it satisfied with human sacrifices. When pregnant teenager Ada (Lauren Ashley Carter) discovers she is to be sacrificed she tries to avoid her fate but, as a result, those around her begin to meet violent deaths. Will she find the courage to give the spirit what it wants?